Catherine Byrne T.D. is Minister of State at the Department of Health with responsibility for Health Promotion and the National Drugs Strategy. He was previously appointed Minister of State for Communities and National Drugs Strategy in May 2016. She was first elected to the 30th Dáil on May 24th 2007, representing the constituency of Dublin South Central. She was re-elected to the 31st Dail on 27th February 2011. She was Fine Gael’s candidate for Dublin South Central in the 1999 By-Election but was unsuccessful on that occasion. Front Bench Spokesperson for Older Citizens, 2010-2011. 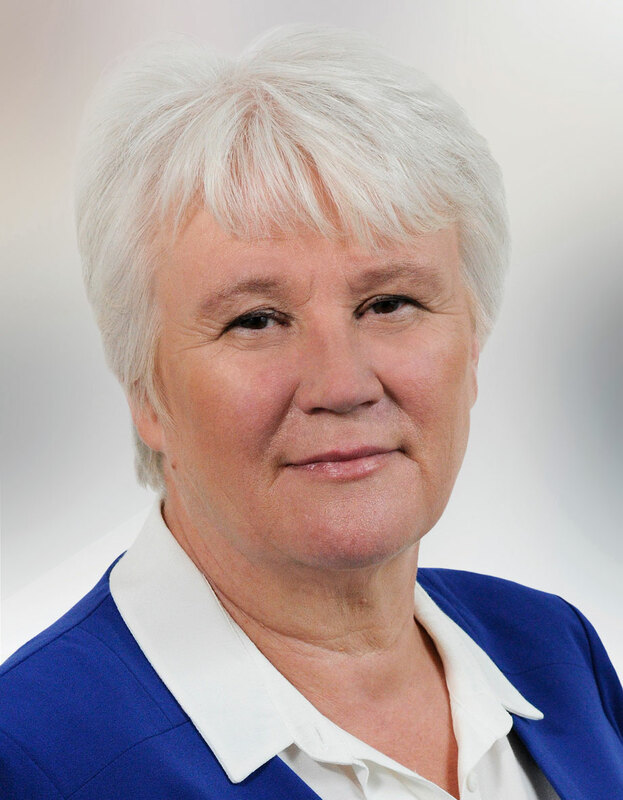 In June 2014, Catherine was elected Vice-Chair of the Fine Gael Parliamentary Party. Catherine was elected to Dublin City Council for the South West Inner City Ward on her first attempt in 1999. She topped the poll for Fine Gael in the Local Elections of 2004. She was privileged to be Lord Mayor of Dublin from 2005-2006, and lived in the Mansion House with her family. During her tenure as Lord Mayor, she initiated the Unsung Heroes Awards, and bestowed the Freedom of the City of Dublin on Ronnie Delaney and Bob Geldof. She was also responsible for the publication of the City Council’s policy on childcare. Born in Bluebell and reared in Inchicore, Catherine lives on Bulfin Road with her husband Joe. She has five children and three grandchildren. Catherine went to school at Our Lady of the Wayside N.S. Bluebell, and the Holy Faith Convent, Clarendon St. She has completed a Two Year Lay Ministry Course in All Hallows College and also holds a City and Guilds Diploma in Catering from DIT, Cathal Brugha Street. She has been heavily involved with community and voluntary groups in her community for over 25 years. She has served as Chairperson of St. Michael’s Community Centre and on the Board of Management of the Mercy Convent Secondary School, Goldenbridge. She also served on various City Council committees including the Housing and Community Strategic Policy Committees, Arts, Culture, Leisure and Youth Affairs Strategic Policy Committees, Southern and Eastern Regional Assembly, Dublin Regional Authority, Inchicore/Bluebell Garda Police Forum, St. Michael’s Estate Regeneration Board, and the Fatima Mansions Regeneration Board. Down through the years, Catherine has been closely involved with providing social activities for teenagers, supporting senior citizens, and fundraising for local community projects. A wonderful singer, Catherine was leader of St. Michael’s Folk/Gospel Group for 15 years. Catherine is an avid sports fan and has played ladies soccer at the highest level. She supports her local League of Ireland club, St. Patrick’s Athletic and Leeds United, and has previously managed schoolboy soccer teams in her locality. Fine Gael TD for Dublin South Central and Minister of State at the Department of Health, Catherine Byrne, has welcomed the appointment of retired Assistant Garda Commissioner, Jack Nolan, to undertake a scoping exercise in the Inchicore and Kilmainham areas. Take care to avoid harm or injury by steering clear of bonfires and fireworks this weekend, a Fine Gael Minister has said.